Ardell Fashion lashes #118 are handmade to exact specifications. These fantastic false eyelashes gradually get longer toward the outer ends. 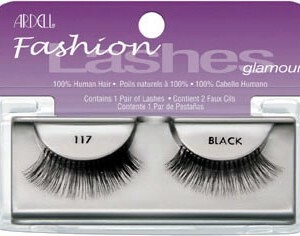 Ardell Fashion lashes #117 are handmade to exact specifications. These fabulous, natural style lashes are beautifully curved, perfect for that glamorous look. 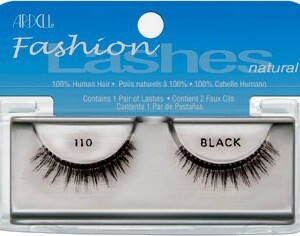 Ardell Fashion lashes #116 are made from 100% sterilized human hair. These long lashes have been strategically designed to create a subtle, but bright-eyed look. Style #115 fake eyelashes are approximately 3/4 of an inch long. These beautifully full false lashes are curved and hand tied to add enhanced volume and length. These lashes are long and dramatic without looking fake. 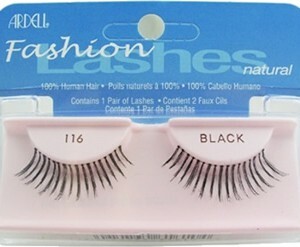 Fashion Lashes #114 are great for dance or stage performances. These fabulously long false lashes have a dramatic curl. The lashes flare outward. Ardell Fashion lashes #111 are handmade to exact specifications. These beautifully curved, natural style lashes have longer strands added for a full and dramatic look. Our top selling false eyelash style! Beautiful and natural looking lashes. Ardell #110 lashes are perfectly curved with just the right amount of length and volume. These lashes are graduated (shorter on the inside corner) and are great for normal everyday wear, so natural you won't believe they're fake. Great for daily use.